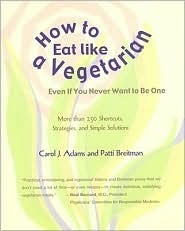 How to Eat Like A Vegetarian Even If You Never Want to Be One | A Practical Peacemaker Ponders . . . If you’re looking for a book to help yourself or others who are new to preparing whole plant foods, if you’re puzzled about what to do with tofu or kale, pick this up. The authors adopt a friendly, laid-back tone to meet readers right where they are in their eating habits, and exert no pressure to make sweeping dietary changes. “We aren’t inviting you to go for a PhD in vegan cuisine,” they write, “we’re inviting you out to the playground!” The book does contain recipes, but is mostly about putting together simple foods in simple ways. Every time I’ve shared information from it, the response has been enthusiastic. Many people want to eat more healthfully, but don’t want to commit to being vegetarian. They lack the time or interest to learn about unfamiliar foods. This will get them started down that path, and they’ll learn the ethical reasons as well as health considerations. 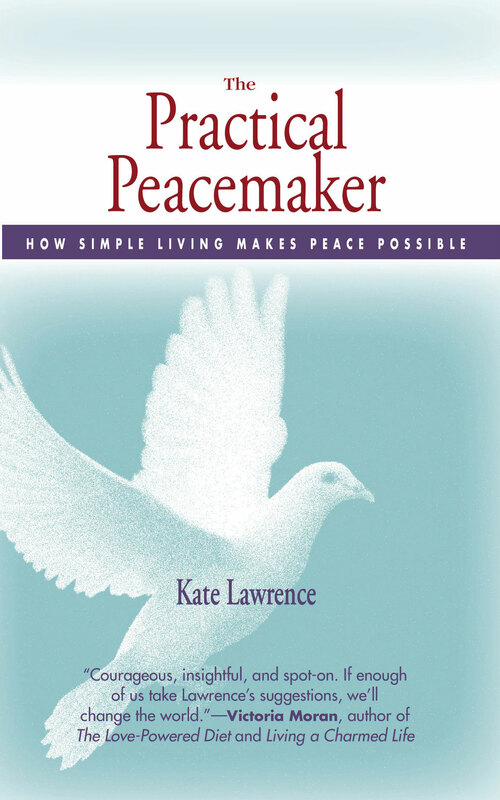 I’ve given away several copies of the book, and have used its “Ten” suggestion lists as handouts at tabling events. These lists include Ten Top Vegetarian Convenience Foods, Ten Ways to Eat More Dark Leafy Greens, Ten Fast Snacks or Easy Lunches, Ten Foods to Eat When There’s Nothing in the House, Ten Comfort Foods, Ten Recipeless Meals, even Ten Tips for Hosting a Reception and what to take when visiting the sick. And much more, all entirely vegan. Have you tried all of the Ten Things to Do with Flax Seeds?